Veolia has called on Government to consider taxing advanced thermal treatment (ATT) of waste. In a new “waste manifesto” the firm said ATT, which includes gasification and pyrolysis, should be “actively discouraged” by Government because it is unable to achieve the same energy efficiencies as traditional incineration. The manifesto said Veolia’s energy recovery facility incinerators could achieve 25%-30% efficiency as well as having the ability to export heat. “The irony is that many so called Advanced Thermal Treatments (ATTs) enjoy significant state subsidies, yet are unable to achieve these same high energy efficiencies. We feel this is unfair as it constitutes rewarding disposal instead of recovery”. It called for Government action “as soon as possible” to “consider introducing a tax on this disposal”. The manifesto, called “Making sustainable cities a reality”, was, the company said “an opportunity for us to share our thoughts on UK waste and resources management policy”. The call came as rival firm Shanks is lobbying Government to reclassify SRF as a product so it can be sold to cofire existing power plants. 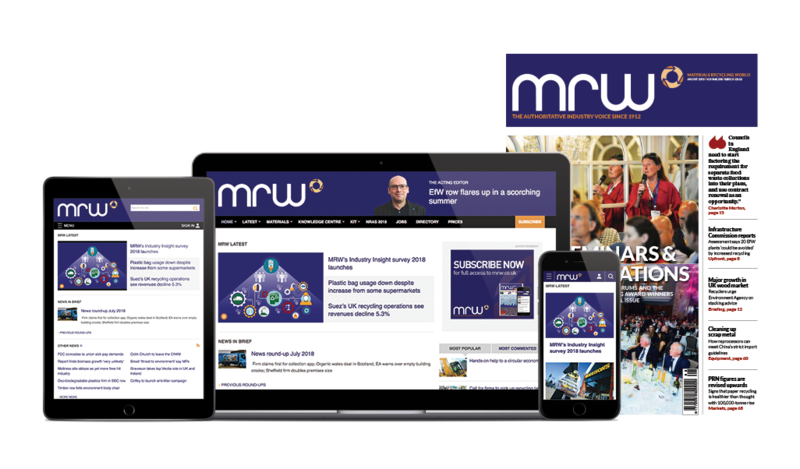 Speaking to MRW last week, Shanks chief executive Peter Dilnot said ministers had been “receptive” to the idea but that there were “practical, technological and political implications”.